Order Today to Get the May Issue! 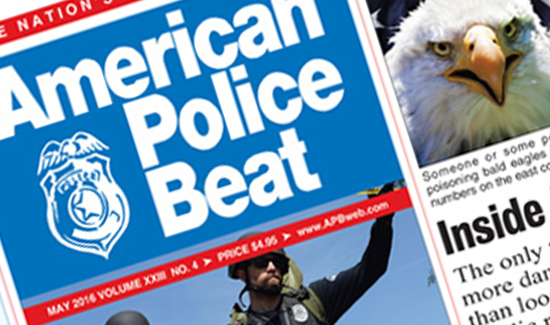 The May issue of American Police Beat is packed with the kinds of content that will keep your attention. We have a great story from the folks at U.S. Fish and Game, who are fighting smugglers and trying to catch the people poisoning bald eagles all over the country. 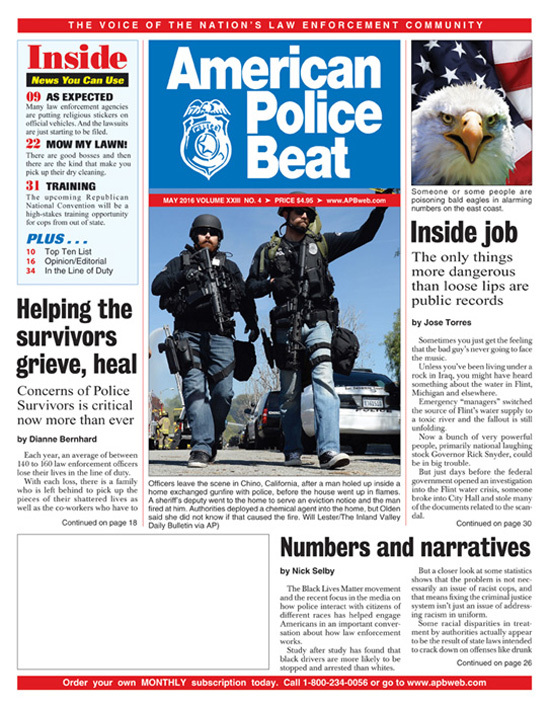 We’ve also got several hero-cop stories just in time for National Police Week. And as always, we have a “who’s who” from the law enforcement profession speaking out on everything from use-of-force policies to the war on cops. While you’re at it, send us your stories, photos, and videos—they could end up on our website or in our next issue!